You guys have kind of picked up on the fact that I love rainbows, right? Colourful things make me so happy, so when I got my latest batch of Born Pretty Store goodies to review, I snatched these up like it was a bag of Skittles. Which I'm also obsessed with. Because they're delicious (and, coincidentally, rainbow-coloured). But yeah. 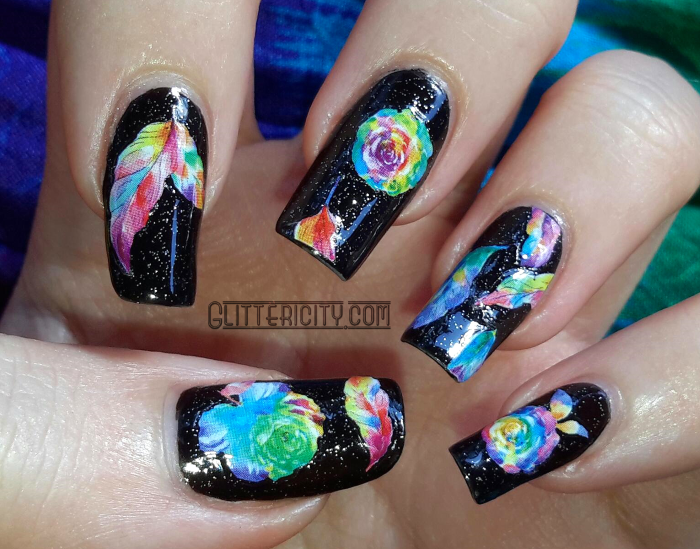 Rainbow flower and feather nail stickers! They're beautiful! I never want to take these off! Click the jump to see the details, and like a zillion more photos. So, these amazing stickers can be found here, and they're lovely and good quality. 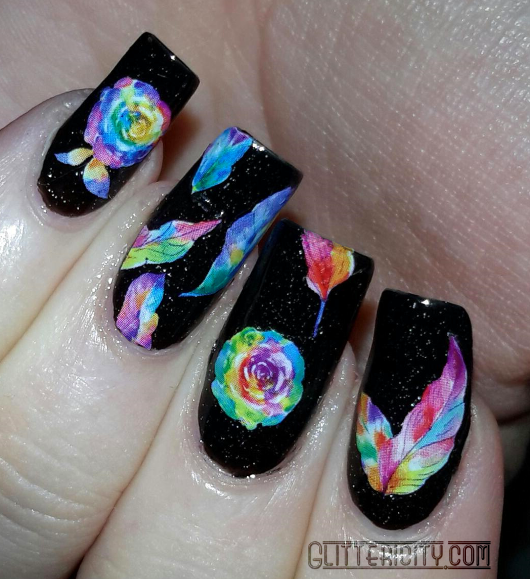 They are thin, and I was afraid they might not be opaque enough to show their brilliance over black, but they are! I prepped my nails with two coats of #428 Midnight Frost by Petites. I love this polish. It's opaque enough to cover in two coats, but somehow also translucent enough for the gorgeous silver glitters to show up. Magical! 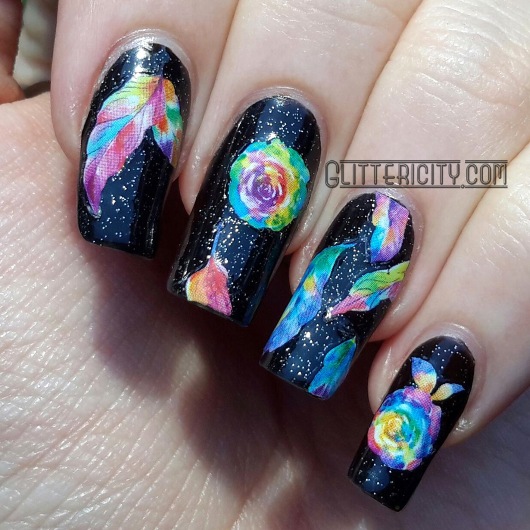 The stickers are just lovely. 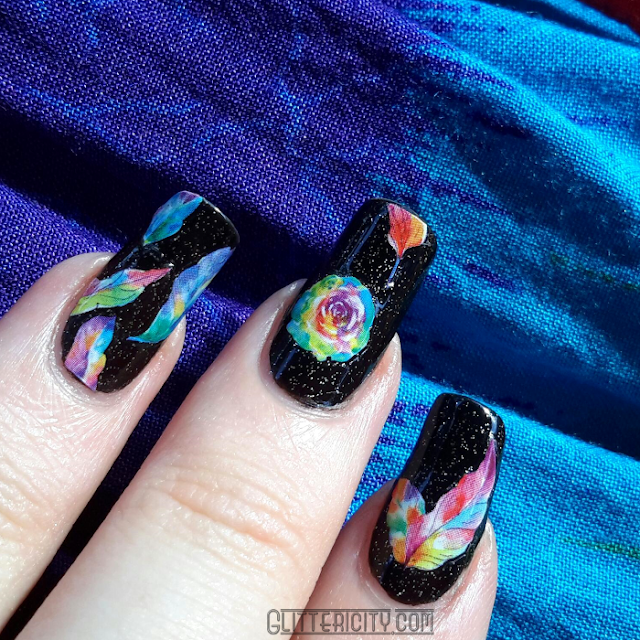 I cut a few of them in half so I could arrange them around the nails the way I wanted (see the top middle and bottom ring, for example). 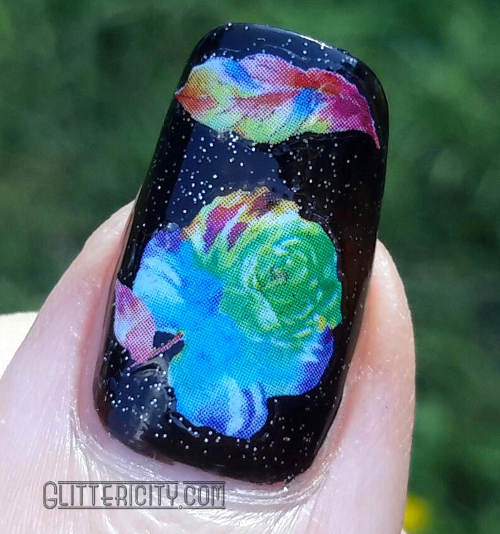 And I have so many left, I can do this mani over and over! 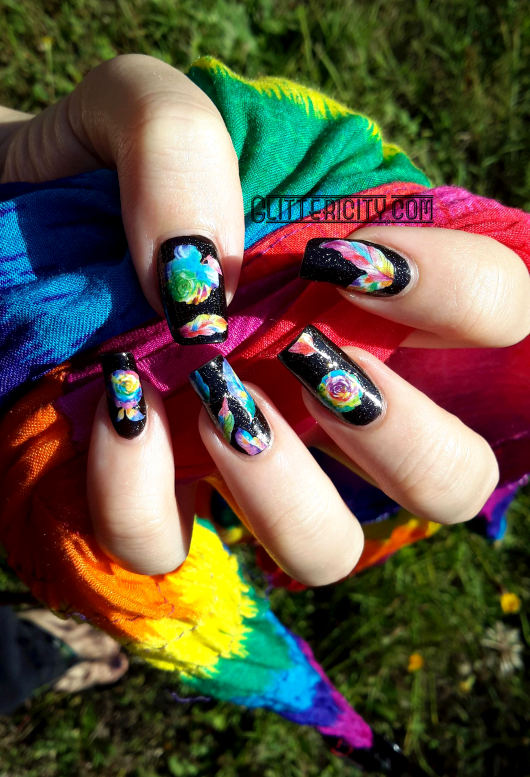 Get your amazing rainbow stickers here! 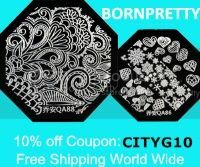 Use my discount code CITYG10 for 10% off! And they ship for free ANYWHERE! "Even the moon," you ask? If you live there and have internet and manage to get an order placed, YEP.